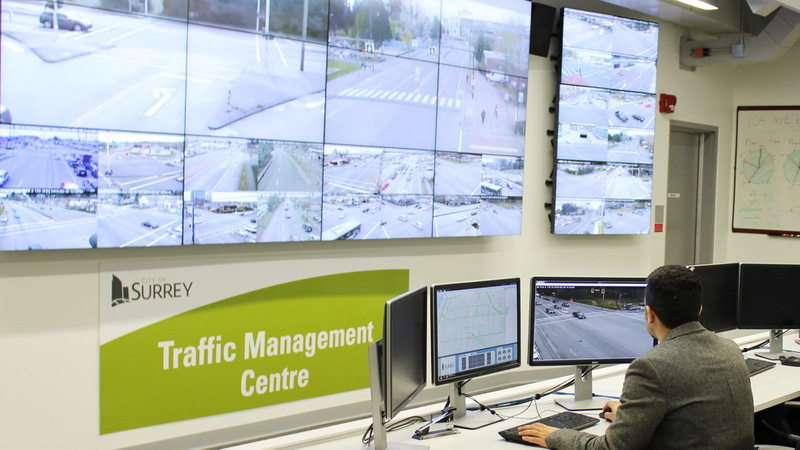 The City of Surrey strives to create a high quality of life for its citizens by considering innovation and technology as key ingredients in its decision making, strategy and investment; this mandate drives the City’s ‘Smart Surrey Strategy’ and its comprising initiatives. The City of Surrey and the City of Vancouver are collaborating on a joint submission to the Government of Canada’s ‘Smart Cities Challenge’ in the $50M prize category. This is a unique opportunity to catalyze diverse perspectives from individuals, entrepreneurs, businesses, and innovators to achieve real and positive impact to common issues. 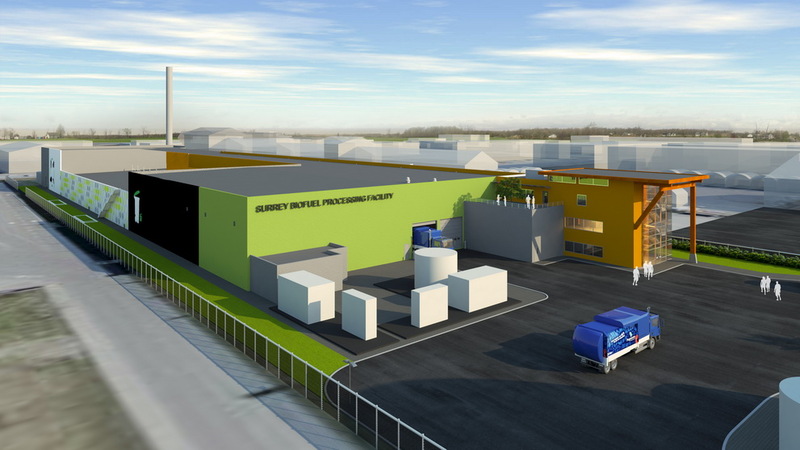 Surrey’s Biofuel Processing Facility processes the city’s organic waste into a renewable fuel to power Surrey’s waste collection vehicles and District Energy System. It is the only fully closed-looped waste management system in North America. By collecting data from over 400 traffic cameras and sensors, the TMC allows adjustments of traffic signals based on real-time traffic, thereby optimizing traffic flow and reducing congestion. 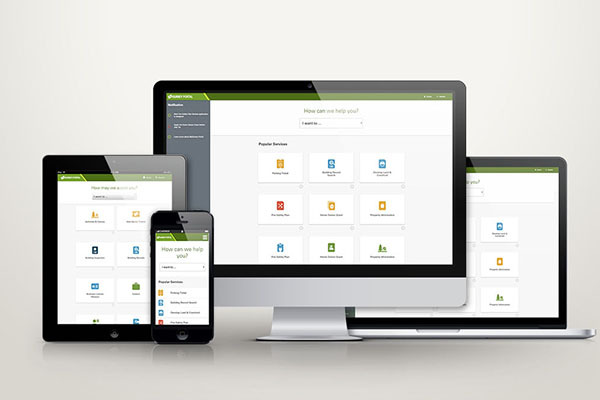 The MySurrey program is transforming how the City delivers online services to our community by providing convenient ways for residents and businesses to engage and interact with the city through modernized online services available anytime, anywhere on any device. 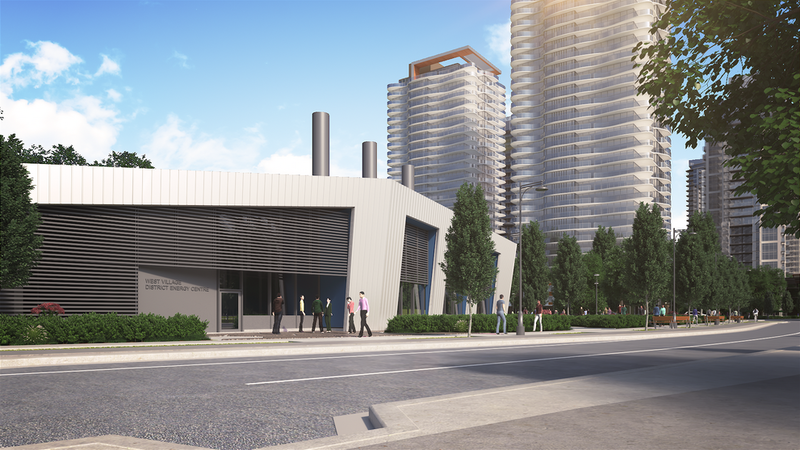 The cities Surrey and Vancouver seek partners for the $50M Canada Smart City Challenge Grant. "Surrey and Vancouver will implement Canada’s first two collision-free multi-modal transportation corridors, leveraging autonomous vehicles and smart technologies to demonstrate the path to safer, healthier and more connected communities while reducing emissions, improving transportation efficiency and enhancing livability in the face of rapid growth and traffic congestion."